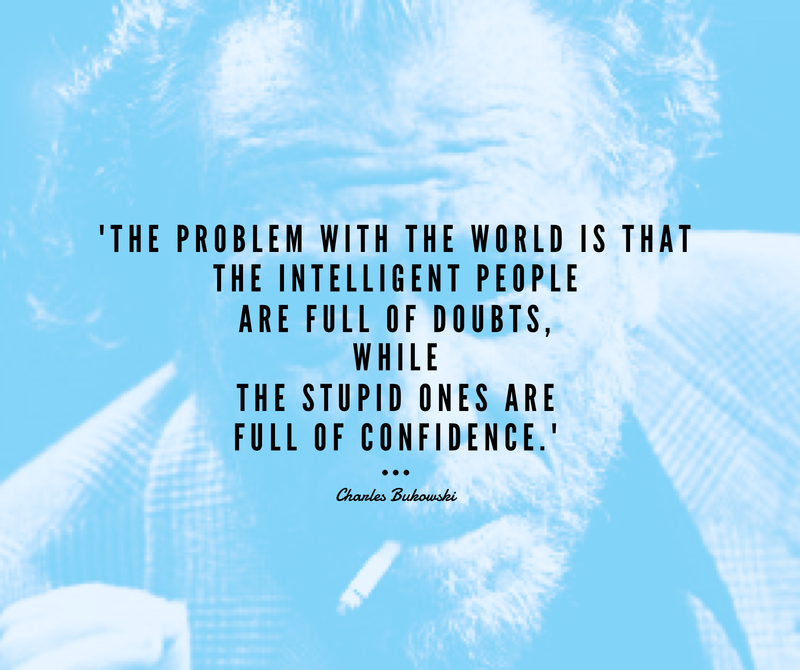 Charles Bukowski was a German-American writer of poetry and prose, whose cult image lives on posthumously. 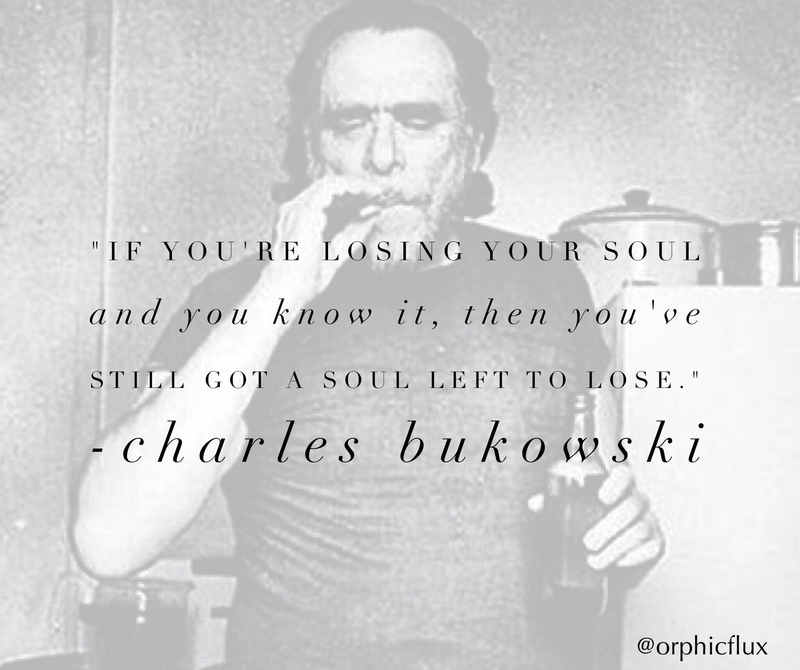 Often using graphic language or imagery in his work, Bukowski spoke with raw emotion, honesty, and lack of pretence. 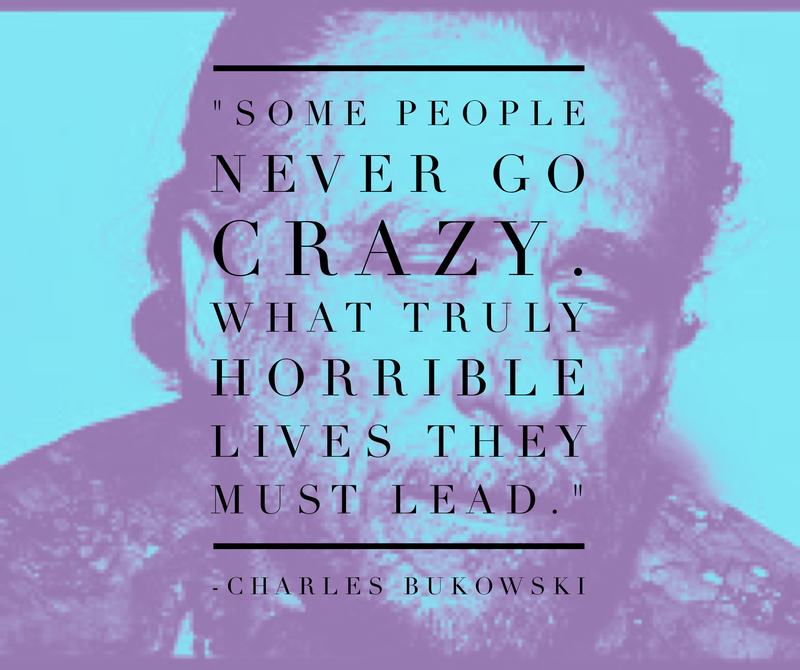 He wrote about his alcoholism, failed relationships, and his experience of being abused as a child. 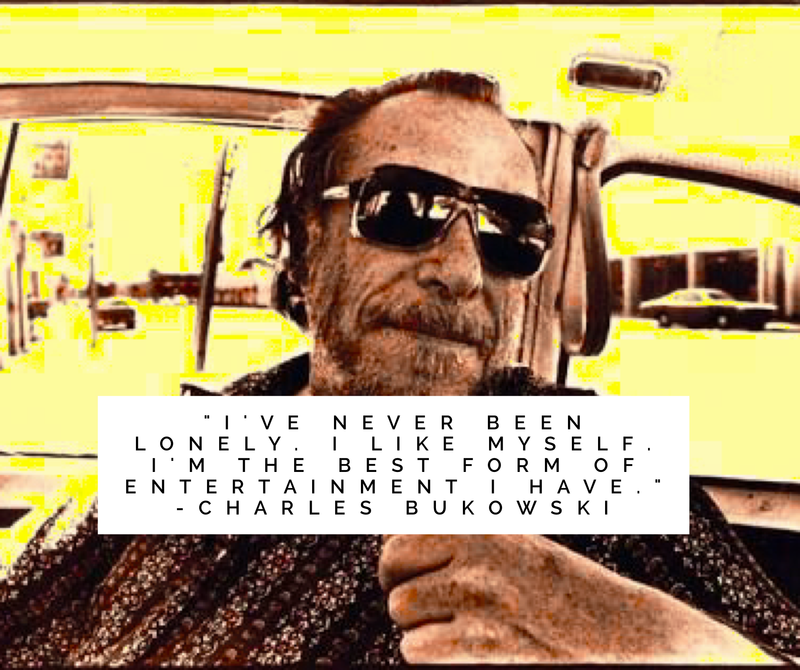 Bukowski lived a challenging life, often in squalor, yet produced some of the most profound, beautiful poetry and prose in modern history. “If you’re going to try, go all the way. 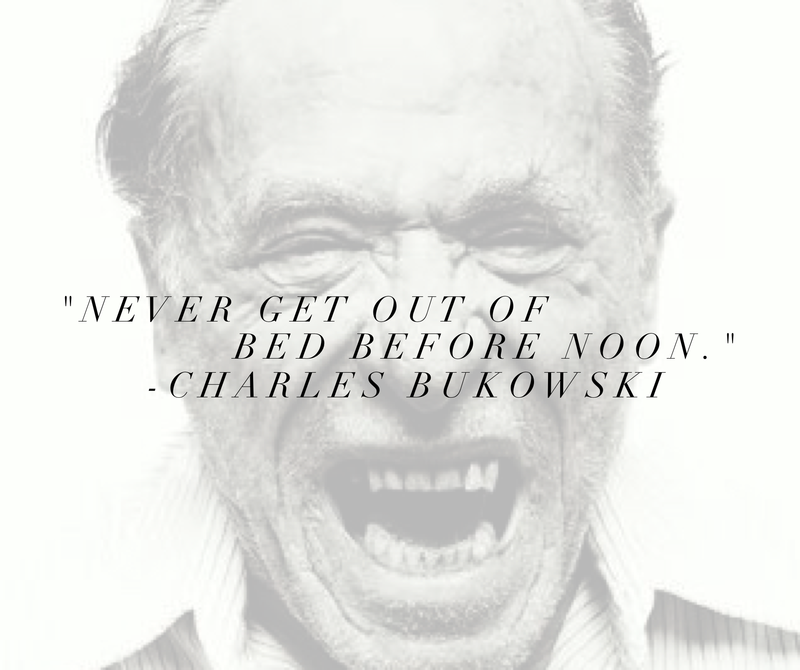 Otherwise, don’t even start. This could mean losing girlfriends, wives, relatives and maybe even your mind. It could mean not eating for three or four days. It could mean freezing on a park bench. It could mean jail. It could mean derision. It could mean mockery–isolation. Isolation is the gift. 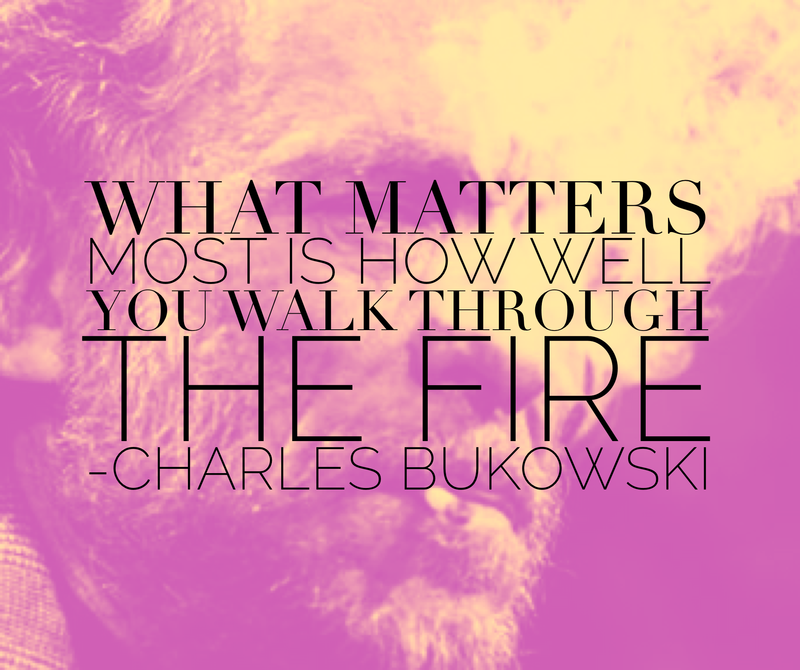 All the others are a test of your endurance, of how much you really want to do it. And, you’ll do it, despite rejection and the worst odds. And it will be better than anything else you can imagine. If you’re going to try, go all the way. There is no other feeling like that. You will be alone with the gods, and the nights will flame with fire. You will ride life straight to perfect laughter. 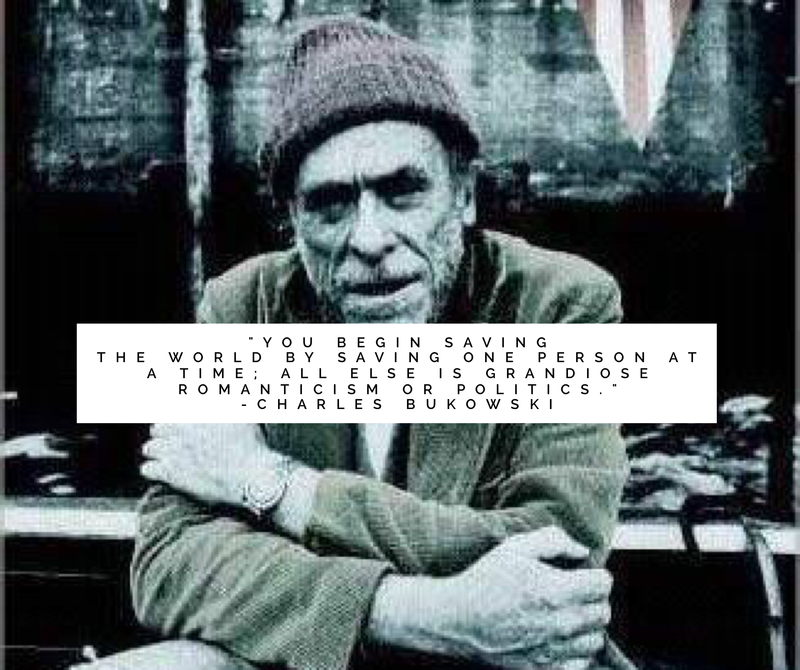 It’s the only good fight there is.” – Charles Bukowski. 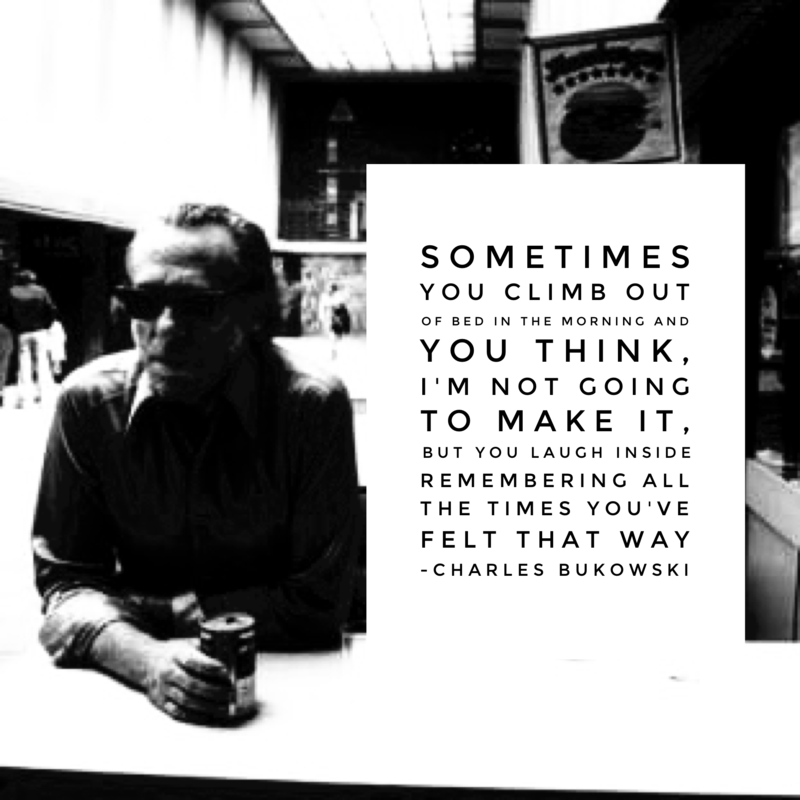 I keep running across the name Bukowski on the internet lately. Perhaps there is a reason why. I am contemplating my own creative endeavor and how much time and effort I am willing to put into it. This post has given me something to think about. 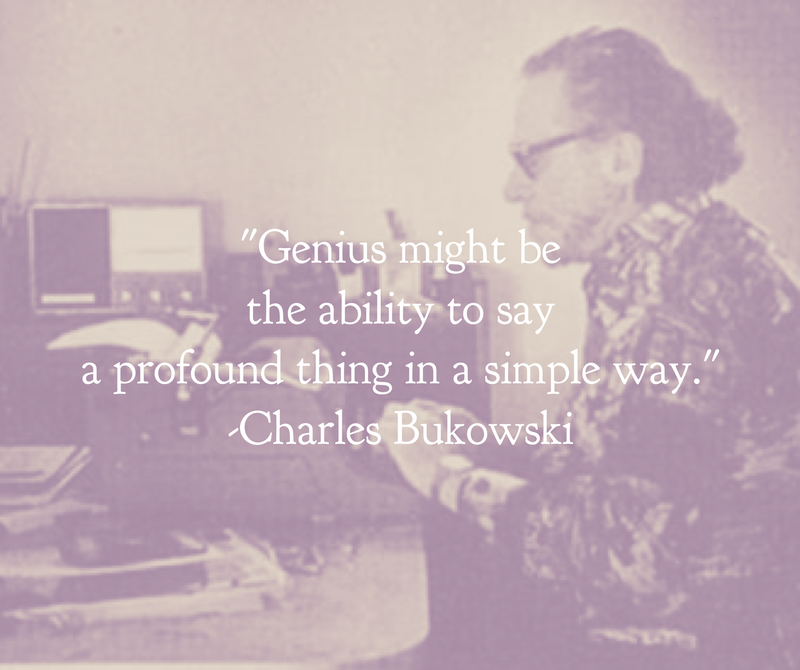 A great tribute to one of America’s truly great writers. 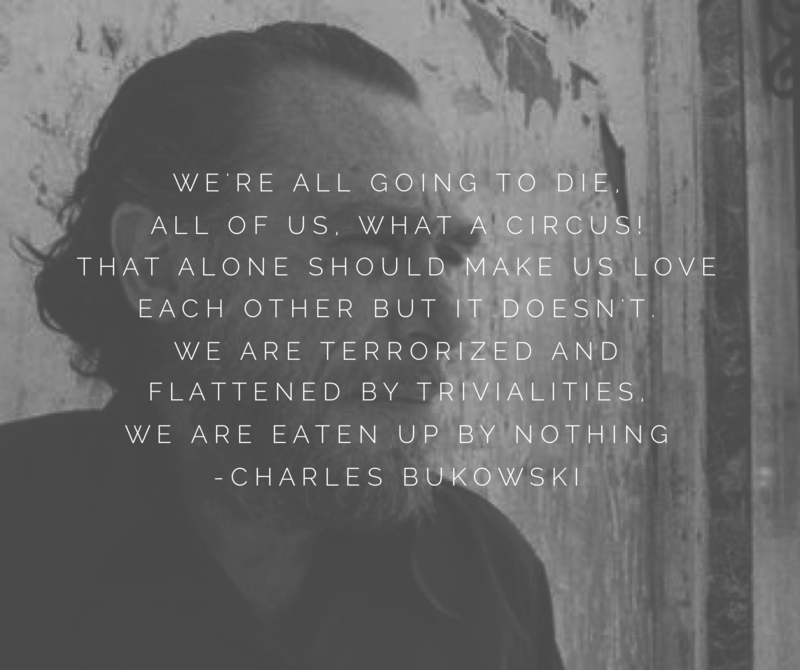 Very few writers had the ability to capture life in the raw like Bukowski.